Enjoyable and good to drive. Good quality interior finish. 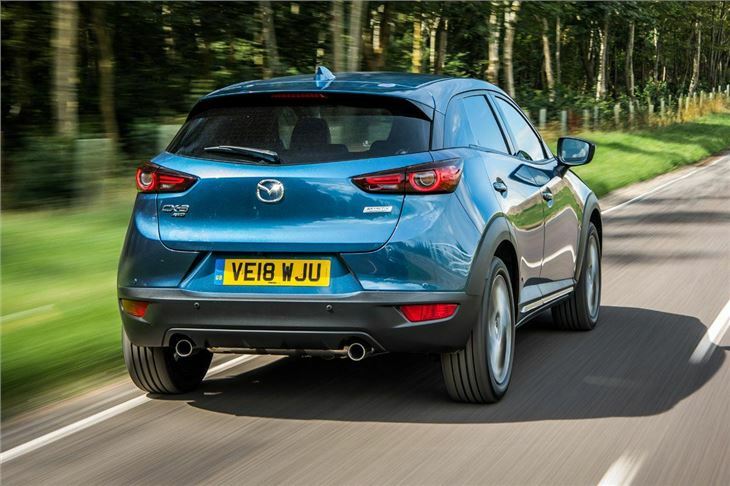 2.0-litre petrol is smooth and economical. Cramped in the back and small boot. Ongoing problem with a/c condensers and evaporators. 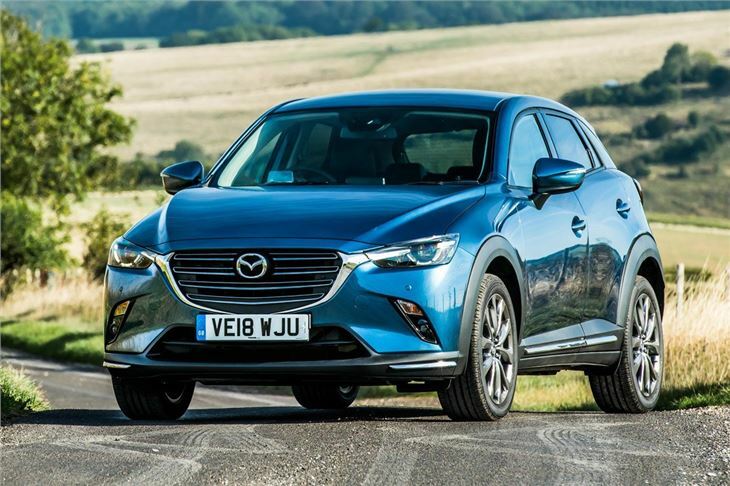 Like the march of the seasons, new small crossovers are inevitable and in 2015 Mazda joined the party with the CX-3. However, unlike its rivals, it is pitched as a premium option with an upmarket cabin lots of standard kit and the option of AWD that gives it outstanding handling. At first sight it looks very much like the larger CX-5, but it is appreciably smaller, with bolder lines, sleeker headlights and a more prominent grille. 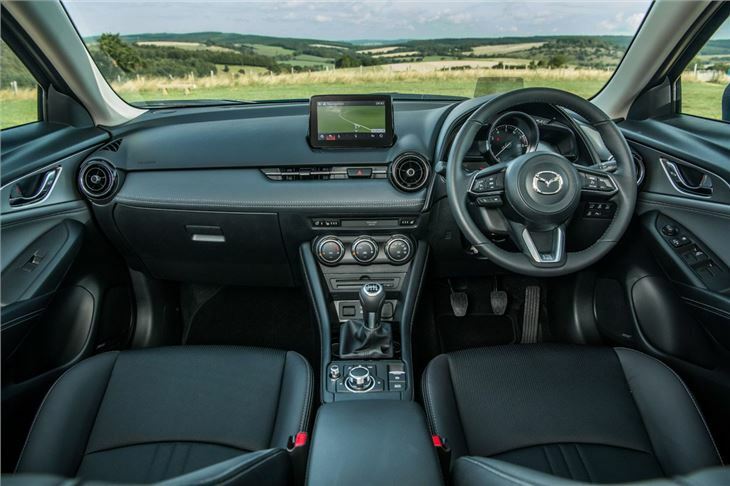 Inside it is very much like the Mazda2, with a classy, neat dashboard layout and an abundance of quality materials. There is a standard fit seven-inch touchscreen with a rotary controller for use on the move. It's not as slick as the touchscreen system you'd find in a Volkswagen T-Roc but it works well enough and means there's no mess of buttons to clutter up the centre console. The finish is good, with plush leather or suede inlays in the doors and on the dashboard, depending on trim level, while practicality is fine for a family. There is plenty of legroom and enough headroom for all but the tallest passengers. 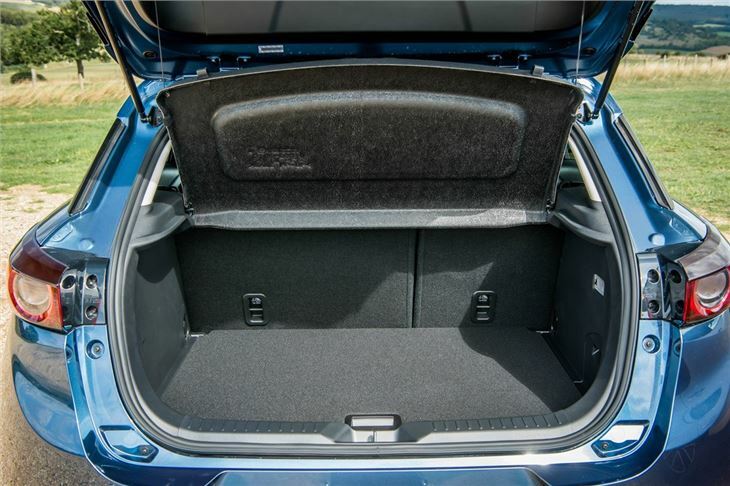 A 350-litre boot is about average for the class, though it has the benefit of a false floor for hiding items out of sight. Three engines are available - a 105PS 1.5-litre diesel and a 2.0-litre petrol with either 120PS or 150PS. 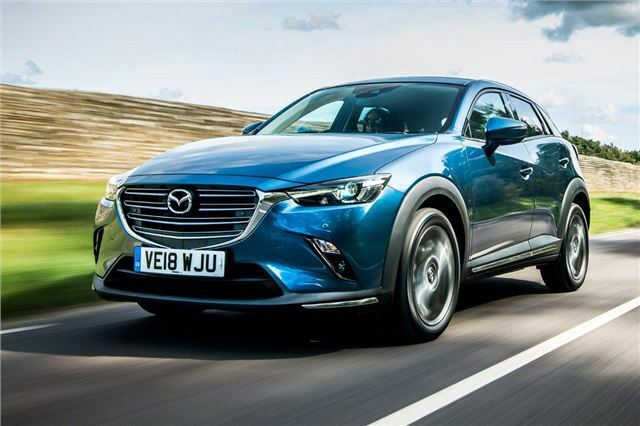 All of the engines give the light CX-3 punchy performance, with plenty of pace to overtake slower traffic and gearing that gives a relaxed, quiet motorway cruise, notwithstanding a little wind noise around the large door mirrors. 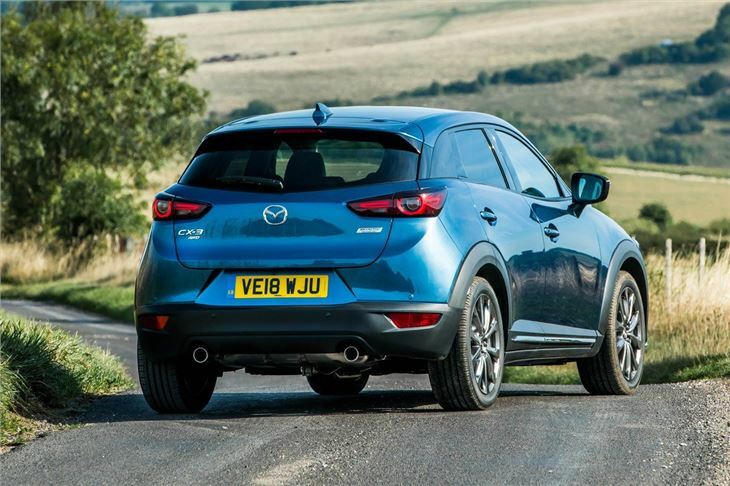 But it’s a country road where the CX-3 really shines, thanks to ample grip and lively steering. It’s a fun car on a back road, with suspension that blends a comfortable ride with impressive handling and body control. For those who live out in the wilds there is even an all-wheel drive variant on offer for some extra traction in poor conditions. It's priced competitively with the competition and does come well equipped for the money. 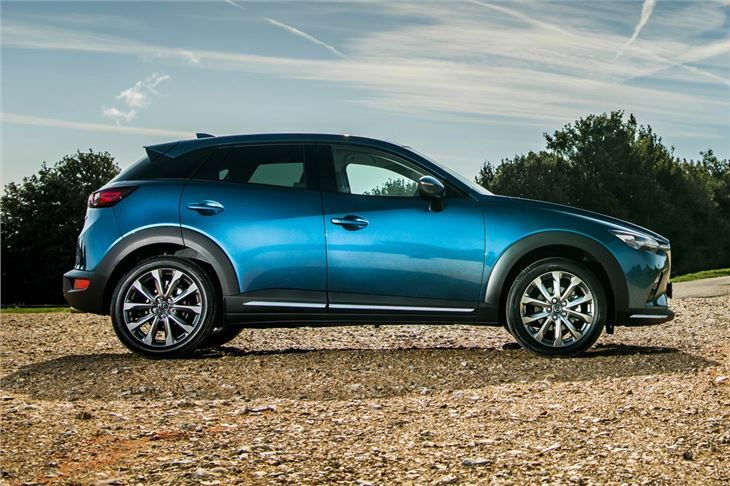 Regardless of price, there is no doubt this CX-3 is one of the best small crossovers on sale. Drives well but unresolved problem!